Today we're in a bit of a hurry. We're trapped inside a building trying to find our friends, a vaccine to a deadly zombifying disease, and a way to get out of here before the hordes of undead zombies eat us alive! But before we go we're going to tell you about our latest preview, Zombie Tower 3D, a semi-cooperative game of survival for 3-4 players that takes about 45-60 minutes. 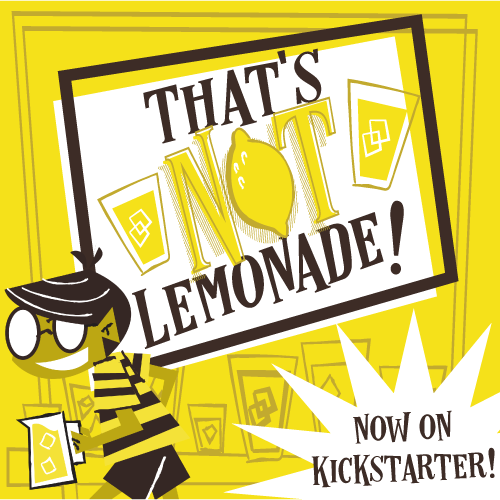 It's on Kickstarter right now. Let's take a look! Let's just start with the amazing board. It's a tower! You build a 3-story tower with three or four sides, depending on the number of players. Each player has their own section that they play in, and they can't see the other players, where they are, or how many zombies are nearby. There's a mess of zombie tokens that are double sided with the other side being a survivor. Some damage tokens as well. Item cards - there's a small deck for each floor that sits on the roof of the building. Character board and standees- each character has a special ability and you also place saved survivors on your boards as well. Emergence decks- there are four of these (one for each player) and they dictate how long the game plays and where zombies and survivors show up during the game. The trickiest part of setting up is building the tower. There are two configurations: 3- and 4-player. The board that it sits on is also double-sided for the two different configurations. Once it's built, each player selects or is randomly dealt a character and then you randomly select 3 rooms (using the Emergence cards) to place starting zombies in. You place a number of them in each room depending on how difficult you want the game to be. Then you shuffle the Emergence deck, place it on the board, and place your player standee on the board in each indicated starting room. The game plays in 4 phases that make up each round. There are 12 cards in each player’s Emergence deck, (one for each room) and you will use two of them for each round. Once you go through the deck twice the game ends (if it hasn't ended sooner by way of someone dying from zombie wounds, a fire, or by you actually winning). Emergence Phase- All players do this simultaneously. You'll flip the top card over and note the number of zombie icons on the flipped card. Then look at the room number of the newly revealed card now in the top of the deck. That is where you place that number of zombies. You do it one more time but now placing that number of survivors in the newly revealed room number. Action Phase- Players take one turn at a time, starting with the start player. You get 3 actions points to spend, and the actions you can take are: Move (1 room at a time), Search (you can only search a room once and only if there are no zombies or fires in the room), Use an Item (most cards cost an action point to use), and Rest (this removes a damage marker). There are a few free actions you can take as well. Picking up survivors, releasing survivors, and passing items through to other players. There are cool slots in the walls of a few different rooms so you can place Item cards through for another player to pick up at some point. It's also free to pick them up. Then you move onto the Zombie Phase: Zombies will move toward survivors first but if there aren't any on the same floor, they'll move one room closer to you. Once they move into a room with survivors, they turn survivors into zombies (by flipping them over). If there are any other zombies left that didn't attack a survivor, they attack you, dealing a point of damage. You can also release survivors from your player board into the room you're in to avoid taking the damage yourself. They turn into zombies but they don't attack you this turn. Jeremiah--Don't come to the tower expecting a super deep co-op feel like lotr or dead of winter. This isn't a knock on the gameplay. It's light and thematic. But also really clever and unique! Firestone--Yes, Zombie Tower 3D is definitely on the lighter end of the spectrum. But plenty of people like things light on the strategy and heavy on the theme, and this game has that in spades. Jeremiah--This game is probably one of, if not the coolest looking games in my collection!!! I just COULD NOT stop taking pictures of it while we were playing it!! Jeremiah--One of the coolest parts of the game was the fact you couldn't see what was going on everywhere else. There's no quarterbacking! You have to trust that everyone else is doing the best they can to survivor and help achieve victory! It also means you have to communicate a lot! They can't see your Items, so if they need help (ammo for a weapon, a detonator, etc.) you have to try and figure out where you can drop it off, if you can get there, or if it's worth even trying to make it there. I REALLY liked that about this game! Firestone--Yes. One of the best things about the game is the lack of an alpha player problem. This game solves that utterly. The idea of hidden information and passing cards is really cool. But this game is tough even without having to think about that! I feel like the semi-co-op nature makes people play sub-optimally for the group, which makes the game tougher on everyone. But if that semi co-op aspect wasn't there, then the hidden info/wall-passing stuff just seems like a gimmick. So I'm torn. Ultimately, we did have fun with the game. It's just a light fun that I don't crave very often. Jeremiah’s Final Verdict--Zombie Tower 3D integrates a great-looking game board into a fun and unique co-op experience. It plays cleanly and quickly and it happens to be a lot of fun along the way! This is a GREAT and unique addition to your co-op collection!! Firestone's Final Verdict--I acknowledge that Zombie Tower 3D is unique, thematic, and easy to play with nongamers. And the board is stunning and clever! But if you know me at all, you know I like my games with more...braaaaaaains...so this isn't likely to come out very often on game night. But if you like your games light and thematic--and visually arresting--Zombie Tower 3D is the co-op for you. Theology of Games would like to thank Cosaic for providing review copies of Zombie Tower 3D. This in no way affected our opinions of the game. Zombie Tower 3D is on Kickstarter right now, and soooo close to funding. You can check them out here, and maybe push them over the top. Thanks for reading!